I’ve been meaning to do this for a while. People ask me why I’m so particular about how I prepare photographs and where I print. Most people think family photographers spend years perfecting their shooting skills, and then just send the jpgs to Kmart like everyone else. Not so, and I’m going to show you why. Of course there is a lot in different types of printing, lots of technologies being used, and you need to prepare your photograph differently to suit each printer and material. If I showed you a bad print, you may think it’s just because I didn’t prepare the file correctly or skillfully enough. If some colors were blocked up or there is a color cast what is to say you couldn’t have compensated for that in the file? To get away from all of that I’m going to show you what the pure white looks like. The following are corners of photographic prints done at different professional and retail stores. The image involved was pure white in the corner, and so you would expect the print to be white. The prints were placed on a black mat to help me focus and lit with a large even window light. Now depending on your monitor, browser, ambient lighting, and many other factors, the photograph above will probably not look exactly like the prints in real life. That is not the point. The point is to see the variation that exists in the value ‘white’. If you were to compare these with white photocopying paper, only the leftmost print would be pure white, but the following few would also be acceptable. More of them wouldn’t be noticeable if they were the only print you had, and you didn’t put it in a white frame or a mat. As you move along, you can see some prints have a yellow cast. Then there are those with the pink cast. I’ve also had ones with green and purple casts, but unfortunately I didn’t keep them as they were so ridiculous nobody would believe it. The pink ones were the most interesting to me, because they are so obviously wrong that every customer would have noticed the problem. Yet this was mid afternoon and this store that won’t be named had been printing all day and not had any complaints! People just accept what they get and assume that’s what they should look like. This is the reason we like you to have some prints with your family photography. In fact we insist you have prints, because we wouldn’t be doing our jobs if your precious memories are locked away in some digital box that nobody can enjoy. Seriously, phones are getting pretty good, and if you just want to crowd around your 5″ screen with your loved ones, you may as well take the photos with a phone and save the hassle. But if the people close to you are important enough, then you should be displaying that on the wall so that everyone can relive and enjoy the moment every single day. Contact us for more info. 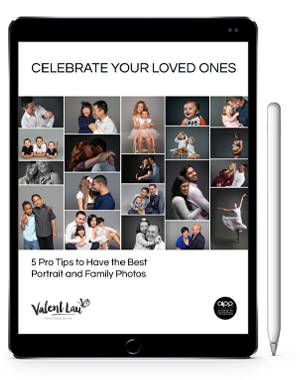 Valent Lau Photography provides Children and Family Photography and is based in South Coogee in Sydney’s Eastern Suburbs. Contact us now and take your first step towards creating some beautiful heirlooms.